I know that my own life is part of a bigger picture of which I am not aware. When we are pregnant, we spend weeks and months planning for the birth of the baby. Those plans never include planning the loss of our baby. The death of a baby or end of a pregnancy in any gestation is a difficult time to navigate. It is impossible to know all of your options and choices when you are in immense grief. With the assistance of a skilled bereavement doula, you and your family will be guided through this experience in a loving and compassionate way. 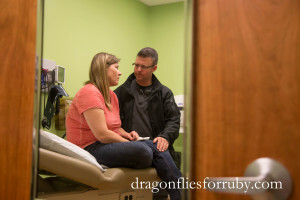 Dragonflies For Ruby is a unique service for families experiencing pregnancy loss in any gestation, stillbirth, infant loss, fatal diagnosis, and expected or unexpected death of baby. We also provide post-abortive support. With the help of a perinatal loss specialist, families do not have to navigate their loss journey alone. Families will be offered compassionate and continual support throughout their loss journey, no matter where it begins. All families and their babies are treated with respect and dignity. It is nearly impossible for families to fully comprehend all they are about to endure. Families will interact with many different people; from the receptionist, to the lab tech, to the doctor, and while in the hospital, there are multiple shift changes involving the medical staff. Families may feel as if they are navigating their journey alone, telling their story over and over and not fully understanding all they can participate in with memory making and options. If you or someone you know are waiting for results, feel a miscarriage is impending, or have learned baby has passed or will pass shortly after birth, Dragonflies for Ruby is here to assist through this journey. Services are tailored to meet the families needs and can be in person, via phone, or via text or email. Services are free of charge however, it is recommended that you contribute to the services (see recommended fee schedule). To begin services, text 303.478.3736 and/or complete this contract and email it. Please include your name, phone number, and that you are in need of grief support.